Officially opened in May 1939 during King George VI and Queen Elizabeth&apos;s royal visit, the Fairmont Hotel Vancouver is one of the city&apos;s most recognizable historical and architectural landmarks. Also known as the &apos;Castle in the City&apos;, this Fairmont Gold hotel offers sweeping views of Vancouver&apos;s beautiful coastline, mountains, and temperate rainforest, accompanied by private check-in, concierge and lounge with culinary offerings. The Lieutenant Governor&apos;s Suite, formerly used to host social gatherings and official meetings, pays homage to its historic roots through Art Deco stylings, including stunning bespoke furniture, a deep colour palette, gilded and lacquered finishes, and rich fabrics. The Royal Suite&apos;s light, regal atmosphere comes from a royal, saturated colour palette with opulent and sophisticated finishes. The master bathroom, now outfitted in stunning white marble, offers an idyllic spa-inspired escape. To pay homage to the hotel&apos;s royal and historic past, many restored heirlooms are included in the new design: the lobby&apos;s restored African Spele wood paneled walls with solid bronze inlay, the ornate bronze gates that secured the suite during the royal visit in the floor&apos;s common area, and the English black walnut veneer-paneled walls in the Lieutenant Governor&apos;s Suite, which originated from a single walnut tree. In spring 2019 the heritage property will celebrate its 80th anniversary, which will include unveiling the next phase of the renovation project with 42 renovated guests rooms, a private lounge, and first-class services. 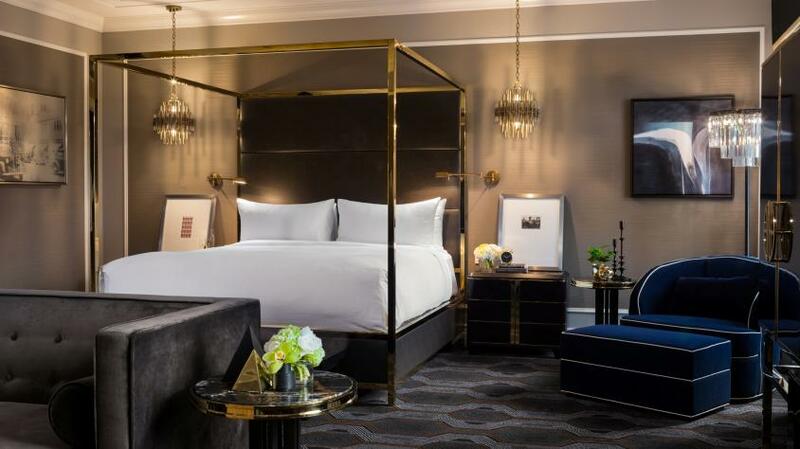 For more information on Fairmont Hotel Vancouver, the Fourteenth Floor Heritage Suites, and upcoming restorations click here.